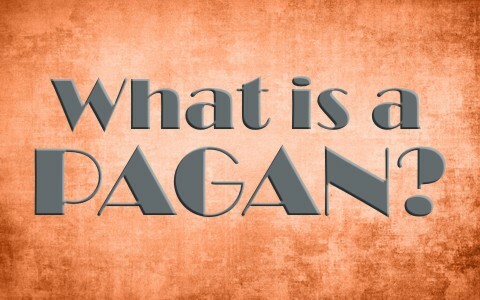 What Is A Pagan? Is The Term Pagan Or Paganism Used In The Bible? There were a lot of different pagan religions in the ancient world and most of them were polytheistic, and it was very common in ancient Greece and Rome. Some believe it was first used by Christians in regards to non-believers, but in any case, paganism is making a huge comeback these days. Many even have their own “worship services,” although it is the creation itself they worship. This is just what the Apostle Paul wrote about, over 2,000 years ago, where “they exchanged the truth about God for a lie and worshiped and served the creature rather than the Creator,” (Rom 1:25), meaning man is worshiping the creation, even himself in some cases. You can see it in our society today. This pride-centered worship also worships the creation, including the creatures, and can include professional and college sports teams (and players! ), or money, and some even worship the trees, rocks, mountains, the sky, and, well, you get the point, right? Pagan is as pagan does; we worship what we pour our lives into, no matter what it looks like. Historians believe that paganism is a term that first arose among the Christian community of southern Europe during late antiquity as a descriptor of religions other than their own, and it was certainly considered disparaging but the name stuck. Of course, Christians were sometimes called atheists because of their refusal to worship Caesar as a god. As I hinted about in the previous paragraph, Paganism is making a very strong comeback. What attracts so many is their spirituality and carte blanche philosophy for no limits to the human mind. It comes striking close to self-worship because worshiping nature is essentially, worshiping self, as the “self is part of the whole.” Some of the harder edged pagan religions almost see those who do good as evil and those who do evil as good, so paganism isn’t just one belief, it is like the word religion, meaning there are many different belief systems that fall under paganism, such as the Wicca, Witchcraft, Zoroastrianism, Celtic, Druids, and all other sorts of neo-paganisms. Some are listed under “Spirituality” in publications and on websites. Some of these have been around for thousands of years, while most of the others are recent human inventions. Let’s be clear. If these are not for God, then they are against God, and I’m sure you don’t have to be a theologian to know that these are evil and God is opposed to them, and so we should stay as far away from these as possible. We should also warn our children and others that many of the video games today have been infiltrated by these demonic paganistic philosophies, and these games often come with violence. That should be enough for you to say “No” to your children and grandchildren when they want these games or play them on the Internet. These games can literally steal a child’s soul, at least for a time. We must not be negligent in these areas. Paganism is growing stronger and stronger, and our children and grandchildren are more at risk than when we were a child. There are certainly a lot of warnings that come with many of these new age, neo-paganism beliefs. We must be alert to watch for signs that a child or children may be under their influence. This is a very serious problem that some parents have had to deal with, but sadly, it was too late and the damage has already been done. They are sometimes left with a child that has absolutely no belief in God. The child believed that since there is no God, then sin doesn’t exist. They think; “My pleasures exist, and that’s all that matters.” Do you see how dangerous that is? They might make it seem attractive because they focus on those who are highly dissatisfied with life and may have been in trouble for something. These pagan philosophies teach that sin is just an illusion. “We’re only a part of the cosmos.” Everyone alive is considered part of “Mother Nature.” Pleasure is “a natural thing,” so don’t suppress it. We were “born for pleasure,” so this descriptive ancient pagan thought has been around for a long, long time. In their ancient religious practices, they worshiped “god” or gods with sexual orgies, drunken parties, and then sacrificed the babies born of the prostitutes directly into the fire to their “gods.” Right after that, they simply continued their drunken orgies. There sinfulness had so calcified their heart that they could take live babies that they had just given birth to and then deliver them into the fire, in some cases, their own babies! No wonder God didn’t want Israel to learn their ways. It would lead to ruin and destruction, but ultimately, to God’s judgment. When you start hearing things like, “Oh well, God doesn’t exist,” or you see a drastic change in their behavior (like at school), or they begin to have little regard for other people’s feelings, including pets, you might want to see what they’re playing, watching, or reading on all of their electronic devices. And sit down with them face to face and ask them, “What’s going on,” but with care and concern, in love. There are only four occasions where the word pagan occurs, and it’s just about the same number of times the word “heathen” appears, but both mean much the same thing as where the Apostle Paul angrily wrote to the church at Corinth: “It is actually reported that there is sexual immorality among you, and of a kind that is not tolerated even among pagans, for a man has his father’s wife” (1st Cor 5:1). Paul’s point is that even the pagan’s or unbelievers know better than to do what this man was doing, so we shouldn’t be too hard on non-believers. The truth is, “You know that when you were pagans you were led astray to mute idols, however you were led” (1st Cor 12:2), so I don’t believe we should call anyone a pagan. Yes, they may practice the pagan religion, but where they are now, is where we were once. And Paul doesn’t seem to use the word pagan in an insulting manner. He is only marking believers from non-believers in the context of his writings. Remember, we too were blind at one time (2nd Cor 4:3-4), and dead women, dead men walking (Eph 2:1-2), so take Jude’s advice for those who do not believe, “And have mercy on those who doubt; save others by snatching them out of the fire; to others show mercy with fear, hating even the garment stained by the flesh” (Jude 1:22-23). Pray for them, love them, and perhaps God may use you as a means to save some. Read more here: What Sets Christianity Apart from Other Religions? Gosh it’s amazing how some of you can twist anything around to be evil. Makes it easier for you to be cruel to anyone who doesn’t follow your religion, I guess, to think that anyone who doesn’t follow your dogma is automatically evil. You know nothing about Paganism, either in the old meaning or the new. All you know is hatred and exclusion. Hello Nonya. I had to edit out some of your comments, but either a person trusts in Christ and is saved, or clings to something else, i.e. paganism, and will be forever separated from God. Eternal life or wrath. Those are your choices given by Christ (John 3:36). Paganism won’t help you on the day of judgment (Rev 20:12-15; 21:8). Previous post: Should You Force Your Teenager To Go To Church?